Free accommodation for children under 10 years! Wellness promotion in Bikal 24. January - 20. December 2019. 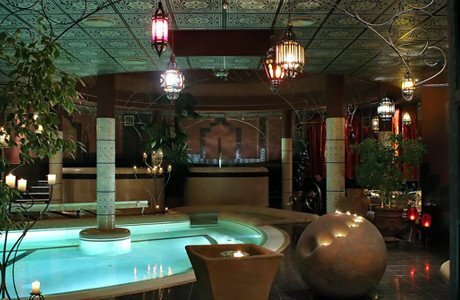 Choose as you wish from among our French bath, Moroccan bath (evoking the world of One Thousand and One Nights) and our place bath. NewsletterSubscribe for new promotions! In the 4-star Puchner Castle Hotel in Bikal, six different accommodation settings and a wonderful environment await everyone who longs for a little recreation far from the noise of the city. The Castle is the embodiment of elegance and generates a feeling of aristocracy, as if we had gone back into the era of the Habsburgs. In the rooms and suites of the renaissance Palace, we can enjoy the comfort of the lords who lived in the era of the famous Hungarian king, Matthias. The building of the Manor House is designed to resemble the style of an 18th century French inn, uniting the trio of timber, stone and brick. The rooms and suites of the Bath House, with their Mediterranean atmosphere, are only a few stair-steps away from the wellness services. Our Guest Houses may be excellent choices for companies, friends or even families. The medieval old-city rooms are located in the old-city of our medieval Theme Park that is part of our castle hotel. The uniqueness of the rooms and suits reminiscent of the world of the Middle Ages is provided by the combination of old and new architectural styles. Our hotel is a true citadel of wellness: a French-style bath, another bath facility with a Moroccan ambience, a VIP bath and the renaissance palace bath, all await wellness-lovers. Our menu is adjusted to the newest trends of Hungarian and international cuisine, as well as to the current season of the year. Of course, we do not forget about the familiar, traditional flavours either. Our guests can choose between five different bars and restaurants. Our castle hotel is truly a family-friendly accommodation, where, together with the medieval Theme Park, located directly in our neighbourhood, we offer a unique variety of quality programs, even for the smallest members of the family. We recommend our Sport Centre for those who would like to recreate rather actively: you can find bowling courts, squash courts, a fitness room, billiard, table soccer and darts in this building, the interior design of which evokes the atmosphere of a knight’s castle.